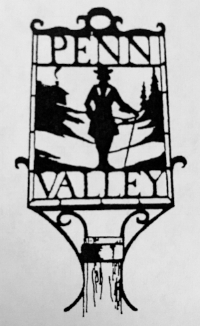 Penn Valley is beautiful place to live. The Penn Valley area is noted for its beautifully landscaped homes, the Hampton House and Oak Hill apartments overlooking the Schuylkill River on the Roberts estate, a Catholic church, and two synagogues. Mail deliveries are made from the Bala-Cynwyd, Gladwyne, Merion Station, Narberth, and Wynnewood post offices. Our own business district spans the north side of Montgomery Avenue from Old Gulph Road to Maplewood Avenue. Narberth also serves the community as a shopping area and offers a convenient station for transportation. Other amenities in the immediate area include the following. LEARN MORE ABOUT local critters, STORM WATER MANAGEMENT AND MORE! Learn more about area history here. The Little Free Library Box is located near the stairs on Hagys Ford Rd between Margo Lane and Righters Mill Rd. Please stop by and take a book, give a book. The library was a community effort by Penn Valley neighbors. Thanks to Jen Milani and Kris Prendergast for initiating the idea and obtaining approval and to George and Max Koerner for the wonderful installation! Last year, Mary Ann Crutchlow and her husband stained the library to protect it from winter weather. Thanks to all for this wonderful addition to our community! West Mill Creek Park (WMC) is a nature park on almost 10 acres in Penn Valley. You can visit the park where Old Gulph Rd merges with Mill Creek Rd. It is also Lower Merion Township's only sunrise to sunset off leash dog park. At the entrance of the park is a beautiful native wildlife garden installed and maintained by the Friends of West Mill Creek Park. LMTS recently awarded the Friends of WMC a ‘Go for the Green’ award recognizing the educational and ecological benefits of the new garden. Visit and enjoy...and take inspiration home for your own garden. Penn Valley has 3 traffic island gardens maintained by the Penn Valley Civic Association. Recent planting includes native plants for pollinators. Click here if you'd like to learn more. PVE is one of six public elementary schools within the Lower Merion School District. It hosts a 15 acre campus and a unique collection of stained glass and glazed tile panels that depict images from Mother Goose nursery rhymes. 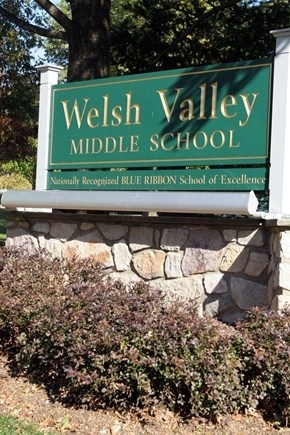 WVMS serves approximately 1000 students in grades 6-8 from the communities of Belmont Hills, Gladwyne, Penn Valley, Rosemont, Villanova and portions of Ardmore, Bryn Mawr and Narberth. River front nature park with parking, picnic areas and a boat ramp. 40 River Road, Gladwyne, PA, where Penn Valley meets the beautiful Schuylkill River.